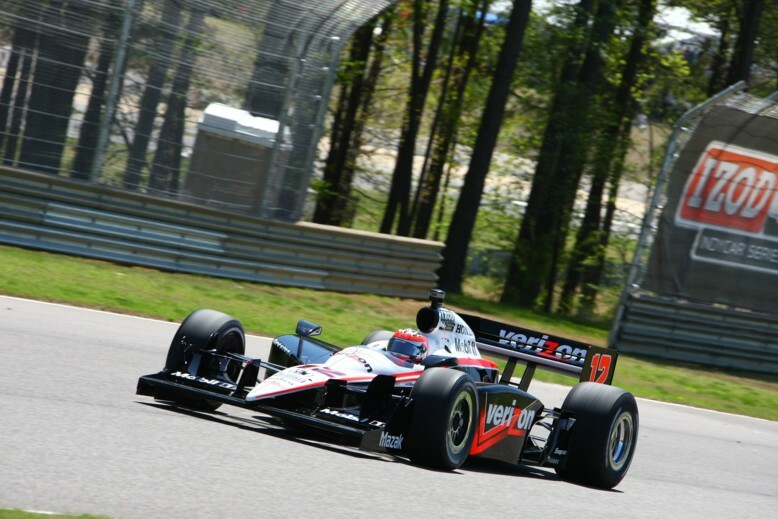 After the 2 practice sessions, Will Power weaved his #12 Verizon Penske Racing car around the 17 turn road course in the quickest circuit of the first day. Lapping the course at 1 minute, 11.1857 seconds, this time is more than a second slower than the benchmark time Power set in February when IndyCar teams tested on the 17-turn track. Reflecting back to the Barber Motorsports Park test, the Verizon Penske Racing trio held the fastest three positions leaving the road course. In the Friday return to the race track, Helio Castroneves and Ryan Briscoe found the competition has closed in for at least day 1 practice sessions. The #6 Penske car of Helio Castroneves held close by his teammate Power achieving a just 18/100ths of a second slower than the top recorded time for 3rd place on the day. In 7th overall after two practices, the third Penske Racing driver Ryan Briscoe commented "We did not quite find the balance that we were looking for today. We did find a good direction for tomorrow.". Providing a challenge to Penske Racing, Andretti Autosport's driver Tony Kanaan rocketed his #11 7/11 car to second fastest. Showing constant top-3 pace through practice and qualifying in the two presiding rounds of the IZOD IndyCar season, Tony Kanaan has yet to capture a race finish equaling the Andretti Autosport car's speed. Fellow Andretti Autosport comrade Marco Andretti also finished strong on the first day practice. 5th fastest, Marco Andretti vowed confidently about his team's work in preparing the #26 Venom Energy Honda-powered Dallara. "We've made the Venom car better today and are only a couple minor changes away from being a pole contender." Andretti said in a late day comment. Other two Andretti Autosport efforts for the day saw Ryan Hunter-Reay in 11th and Danica Patrick placing 19th. Presenting himself as a factor on race day both times this season, Scott Dixon fight has been closing the deal in the final laps. Driving his Target Chip Ganassi Racing #9, Dixon was recorded 4th fastest time which is 7 spots higher than teammate Dario Franchitti. Debuting on his first IndyCar event, newcomer Bertrand Baguette got acquainted with his #36 Conquest Racing Dallara-Honda but was second-last on the 25 car speed chart after Friday. However, it is also interesting to note that the other rookie driver for Conquest Racing, Mario Romancini, would be just one spot higher than Baguette. On Saturday, the one and a half hour qualifying session is set to roll at 9:20 AM local time at the Birmingham, Alabama track.